• Hand-operated desalinator for 1 - 6 people. • Optimum pump frequency: 40 pumps per minute. 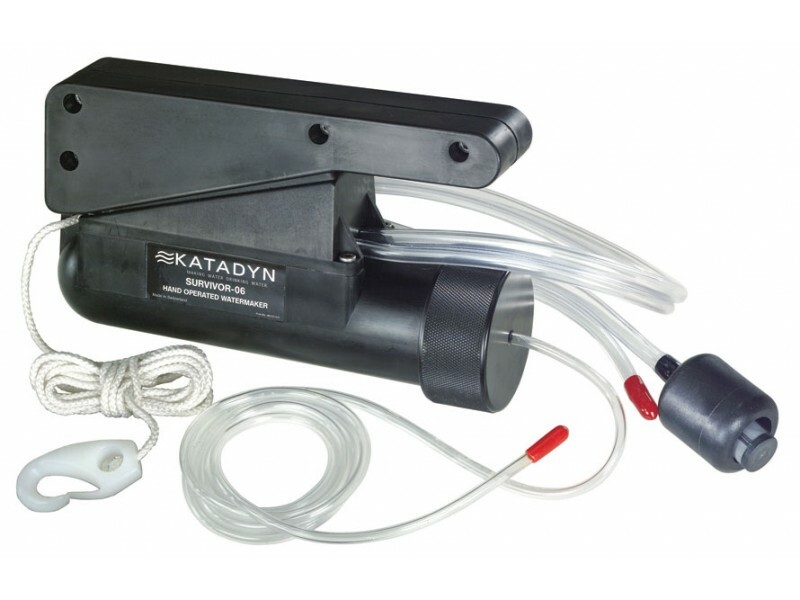 At 2.5 pounds, the Katadyn Survivor 06 is the world's smallest hand-operated salt water desalinator and can easily fit into an emergency kit. It removes bacteria, salt, viruses and other contaminants, and can make 1 ounce of fresh drinking water in less than two minutes (nearly 2 pints per hour) with an average pump rate of 40 strokes per minute. This compact, lightweight salt water desalinator is designed for one to two person use in life rafts and aircraft ditch bags. It's the trusted fresh water device used by the US Navy, US Coast Guard, US Air Force and is essential equipment for any offshore cruising vessel. Katadyn Survivor units have been saving lives and offering peace of mind for years. When you need it the most, your Katadyn Survivor will be there. 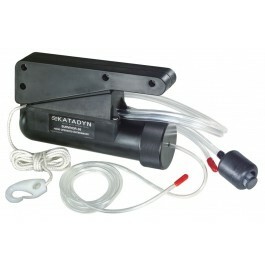 Katadyn offers two models of Survivor desalinators to provide emergency water when the unthinkable happens: The Survivor 06 is designed for one to two person use in life rafts or a ditch bag. The Survivor 35 is capable of providing emergency water for up to 6 people in a multi-person life raft. Both Katadyn Survivor models are trusted gear used by the US Navy, US Coast Guard, US Air Force, and many sailors around the globe. They are essential equipment for any offshore cruising vessel.